The RCBA Middle School is safe place for students to navigate the changes of early adolescence. As they study literature, math, science, and history they are encouraged and supported by their teachers and their peers. 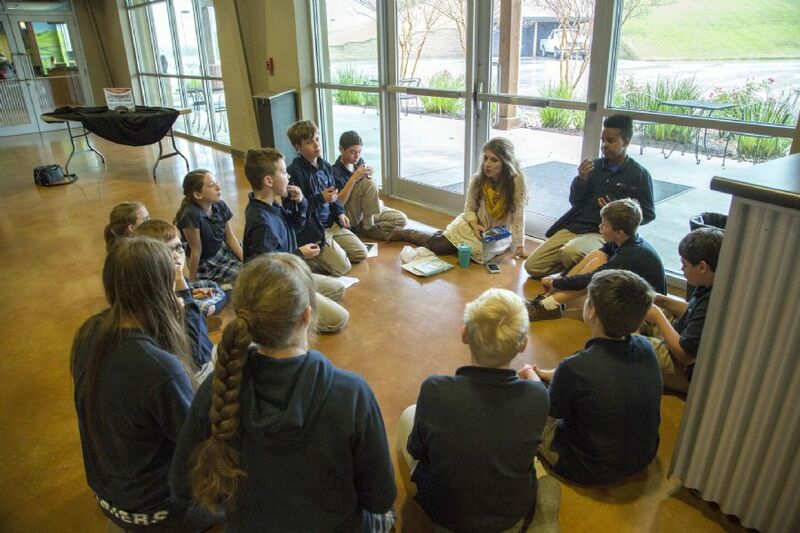 Whether building catapults, writing computer code, cleaning and painting an inner city literacy center, memorizing scripture, or practicing tennis serves, our students discover truth in the context of a world that is safe to explore because it’s created by God. We encourage students in their deepening love of Christ and the knowledge of His truth. Our advanced curriculum offers academic rigor and our teachers provide spiritual and emotional support as students meet the challenge. The middle school years can be life-changing, and we this to be a very positive time.